Josephine Hearn and Mike Allen, of CBS News are reporting:. House Speaker Nancy Pelosi said yesterday that President George W. Bush did not consult her before announcing his new strategy for the war in Iraq â€” a sign that, despite the cozy rhetoric, the relationship between Washington’s two powerhouses has already had its share of friction. 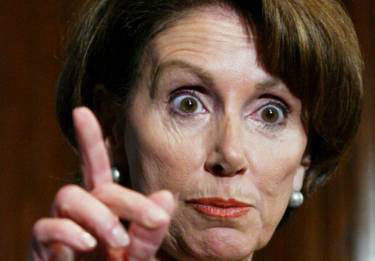 So was Mrs. Pelosi lying when she said she discussed the surge with the president or was Mrs. Pelosi lying when she said she was not consulted? The latest spin Nancy Pelosi is putting on the politics around the Iraq War appears to be nothing but misinformation, if not an outright lie. Mrs Pelosi had no plan. Now she has no honesty.